Five modified e-Golfs are equipped to roam around Hamburg. Along with the Volkswagen Group's great push into electric vehicles comes a push into autonomous vehicles. The automotive giant is doing just that, following an announcement last week that it has started testing vehicles equipped with Level 4 capability on public roads in Germany. In February, the company sent out five modified VW e-Golfs through the streets of Hamburg to test its Level 4 system, Volkswagen said last week in a press release. It says it's the first time it's tested this level of self-driving ability on public roads. 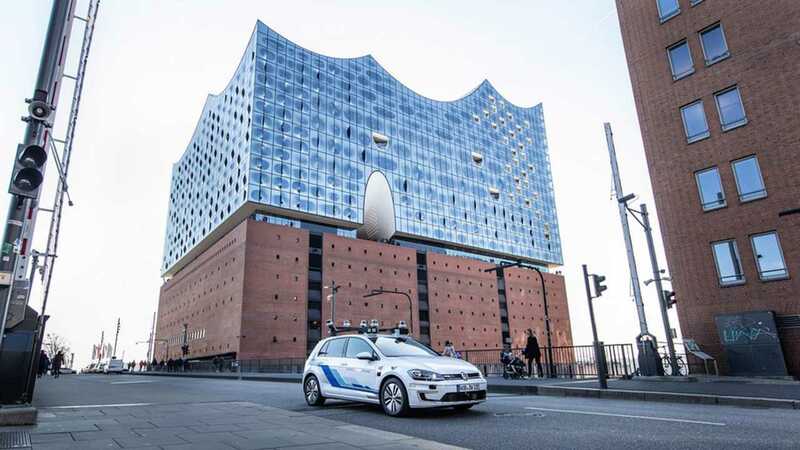 The e-Golfs for use by VW Group Research have been saddled with seven radars, 11 laser scanners and 14 cameras, all to monitor road conditions and keep watch for pedestrians, cyclists and parked vehicles – among numerous other factors. While recent concepts from VW, such as the I.D. Vizzion, have promised ambitious levels of autonomous driving, the company has been relatively quiet on meeting deadlines to get such technologies on the road. Some of that is likely hedging expectations, because while the cost of the hardware required may be coming down, various government regulators are in no rush to approve such systems for general production cars.